Most of you know that I am graduate of UGA, so I was pleased with the results of our season opener. But Clemson does boast one advantage over UGA. Their stadium is located adjacent to beautiful Lake Hartwell, making boating to a game an option that we don’t have in Athens. This week, Clemson has its home opener against South Carolina State. The prospects for a Tiger win this week appear high. If you are already living on the lake, you can tailgate before the game, Lake Hartwell style. 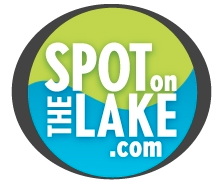 And if you don’t have property on the lake yet, let us help you find your spot.